I had the pleasure of working with my favourite photographer Emma Griffin again, I feel so blessed to be surrounded by so many wonderful women. If you are looking for independent creative females Cornwall is the place to look! We started at 10.30am in the salon, our models for the day were the lovely Tilly who travelled from Falmouth and Sarah who travelled from Newquay, the sun put on a show for us and made the Spring Summer shoot easy, the images look like we were abroad! Emma brought a lovely selection of the new range from Ula, the Palm print shirt was a massive hit with everyone in the salon! One guest asked us if we were starting a shop! Everyone watched from the windows as we climbed into the hedges to shoot in front of a Palm Tree! The things you do for a great shot! For Sarah’s second look I gave her the hair she loves, I wanted her to go home with bouncy clean hair that smelled amazing and made her feel fabulous. I did a really soft wave, the secret ingredient to these soft waves is Kevin.Murphy’s Killer Waves £31, it protects you hair and holds your waves in place. Director Josh did Tilly’s first look, he wanted to gove her a look that looked like she did it herself, the clothes are so simple and summery that an over done look wouldn’t work at all. For Tilly’s second look I gave her a 40’s style wave using the DNA Wave technique, check out this magical technique here , GHD reposted this video on Instagram and to date it has had 80.5k views, how incredible is that?! And here are the final edits for Ula’s Spring/Summer Look Book 2019. Check out Ula’s other looks here. Tilly looking like she is about to get on her yacht in the South of France. If you would like to book any of our team to do the hair for your Look Book, we can arrange that for you, just contact us through our email hello@hunterandwalsh.com or on Facebook Messenger. We are excited to launch our new Sessions Menu. We are so excited to launch our new Sessions Menu today!! We have put together our most popular services and designed Sessions that you can pick from. Our new Colour Scheme is this beautiful Green, Grey and touches of Copper! The Stay & Play Session is designed to help you get the best out of your Kevin.Murphy products £15 or to teach you HoW to use your hot tools to get the perfect curl, you can choose to book a Stay & Play Hot Tools Session on its own £30 or you can add it to your service £15. There is also a Stay & Play Plaiting Session £10 that will teach you how to do a simple plaiting technique either on yourself or on someone else! Would you like to know how to put your hair into the perfect ponytail? It is not as simple as it looks! You can chose the SHoW Pony Session £10, add this to the end of your appointment. The Grooming Session £45 is already one of our most popular sessions, book with Josh, he will thread your eyebrows, shape and shave your beard and give you a slick haircut or fade. You can also have your eyebrows tinted if you wish. The Curl Session £55 is with our resident Curl Specialist Viv (The Cornish Curl Whisperer) , She will teach you everything you need to know about how to care for and maintain your beautiful curls. She uses a mixture of The Curl by Curl cutting technique and her 20 years experience to cut your hair. Viv is not scissor happy and will always make sure you leave with the length you want. As we all know, if curls are cut by the wrong person, they spring up and end up looking like a poodle! The Glossing Session is perfect if you need your toner refreshed on your Balayage or if your hair is looking a little dehydrated. We recommend this Session if you have been on holiday. The Glossing session is split into two different prices based on length, Long Hair (below the collar bone) £50. Short Hair (above the collar bone) £35. Ready Set Go £45, is the newest way to have your hair done, you will come into the salon for a blow dry and curl, we will set your hair on pins, you will leave the salon with your hair set and leave it in while you get ready for your night out. Just before your taxi arrives, take it out and brush it through, your hair will last all night, and longer if you wish! As part of the Keratin Smoothing Treatment there are 30 day intense conditioning treatments, Moisture Boost £25 for dehydrated brittle hair, or, Protein Boost £25 for damage weak hair. These treatments can be added onto your Service in the salon and are a great way of trying out the KeraStraight range of treatments. The Style Session £45 is a hair-up Session, if you would like to have your hair put up for a special occasion like a prom or a wedding, this is for you. You can even add a luxury Shampoo with Conditioning Treatment and Blow Dry to make it even more special. The Healing Session is special because not only to do you get a WellaPlex Stand Alone Treatment and blow dry in the salon, you will get to to take home WellaPlex No.3 worth £26. WellaPlex is a revolutionary product that repairs broken bonds that have become damaged through colouring, heat styling or environmental damage. We highly recommend this session if you are considering a big colour change. Read about WellaPlex here. The Healing Session is for Short Hair £50 (above your collar bone) or Long Hair £60 (below your collar bone). All the Sessions can be booked online, but as always if there is anything you are unsure of, or if there is anything you would like to see on the Sessions Menu, please do get in touch with us, we love to get your feedback! Our Bridal Menu will be launching very soon! We are expecting to have it finalised by May. Spinach is a super food and is on the list of the 8 super foods to eat each day. Women are more likely to be deficient in minerals, which can often be the reason for hair loss. 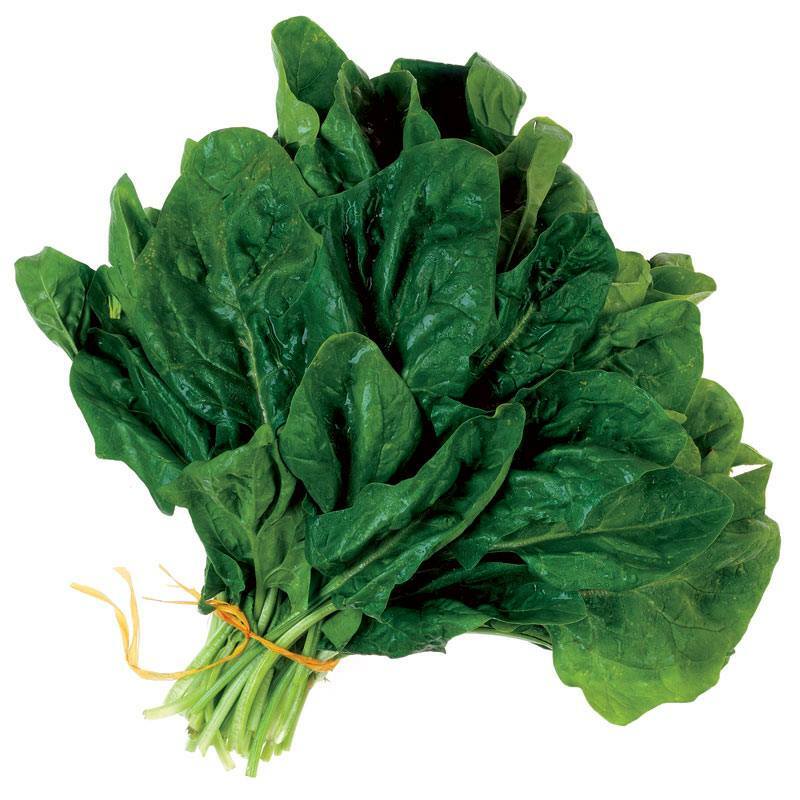 Spinach is rich in Iron and contains Sebum which is a natural hair conditioner. I love to eat Spinach raw and as an alternative to lettuce leaves in my salad. This versatile green also provides Omega-3 acids, Magnesium, Potassium, Calcium and Iron. All keep hair lustrous, shiny and full of body. Salmon, Mackerel and Sardines are full of Omega-3s, which are naturally anti-inflammatory, inflammation can cause hair to shed. Salmon is one food that helps the body process insulin more efficiently. Insulin resistance has been linked to male-pattern baldness and female hair loss. But avoid farmed salmon at all costs!! Beta-carotene protects against dry, dull hair and stimulates the glands in your scalp to make sebum, which is that beautiful oil that nourishes and conditions your hair. Orange-coloured fruits and vegetables need to be on your shopping list every week. Carrots, pumpkin, cantaloupe, mangoes and of course sweet potatoes! Chickpeas contain some of the highest concentrations of vitamin B9. A cup of them packs a whopping 1,114 micrograms of B9, nearly three times the RDA of 400 micrograms. Folic Acid is the synthetic version of B9, also known as Folate. Folic acid generally helps all tissues grow, so getting enough dietary folate stimulates hair growth in the long run. According to a study conducted by the Ontario Veterinary College at the University of Guelph, Canada, folic acid supplement therapy helped a three-week old male calf recover from progressive hair loss in less than two months. Unfortunately, no such outstanding effects have been reported in humans. It is certainly a great addition to a healthy balanced diet that will help your hair to be strong and long! Eggs are packed with a B vitamin called biotin, which helps hair grow and strengthens brittle fingernails. Not having enough of this vitamin can lead to hair loss. 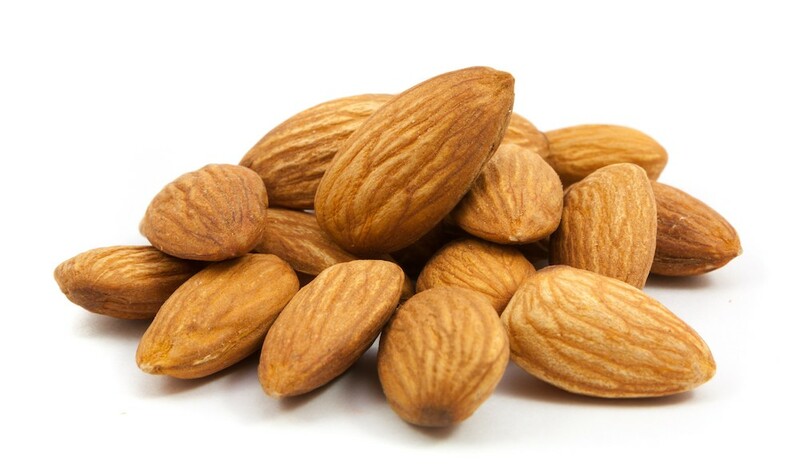 Other good sources of biotin are almonds, avocados, and salmon, which are already on the list! Did you know that our newest shampoo and conditioner Waterman's Grow-Me has got Biotin in it? So, use the products and eat your eggs, perfect combination for healthy strong hair! Copper is said to help hair maintain its natural colour, regardless of your natural hair colour, according to a 2012 study. 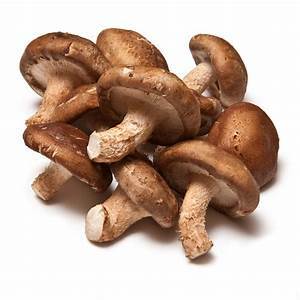 Shiitake mushrooms are rich in the mineral, as well as seaweed and sesame seeds. So, to defend against grey hair, eat your mushrooms!! This is the perfect recipe to feed your hair and feed your family, full of the goodness you need to have beautiful hair..
Get The Best From Your Bleached and Highlighted Hair..
#1 Book in with our Blonde Specialist Rosabel. #2 Never rush the process, trust your hairdresser when they say it may take a few sittings to get you to the ice white blonde you are dreaming of. #3 Leave plenty of time for your appointment, careful bleaching takes time. Enjoy the process and relax, if you should need anything, such as your car-park ticket or something to eat, we will happily pop out for you. #4 Always choose WellaPlex, this is a must when bleaching your hair and we will always recommend you have it. In Hunter & Walsh we charge £10 for the WellaPlex additive, the reason we keep the cost so low is because we want you to have it! WellaPlex rebuilds broken bonds and protects your hair against further damage. It is not a miracle worker, so listen to your stylist when they encourage you to proceed with caution (#1). Invest in WellaPlex No.3 £32 for home use, use this every week if your hair is very blonde or if you have had a full bleach-up. #5 Avoid over-washing, following your salon appointment try to go as long as possible between washing your hair. Over-washing can strip your hair of essential moisture and cause your colour to fade. Your hair will be in a fragile state for a few days after colouring, treat it with care as if it were a delicate fabric. Keep the water temperature low and massage it gently. #6 Use toning shampoo, regularly but with care, check out my blog to understand how to use purple shampoo properly. 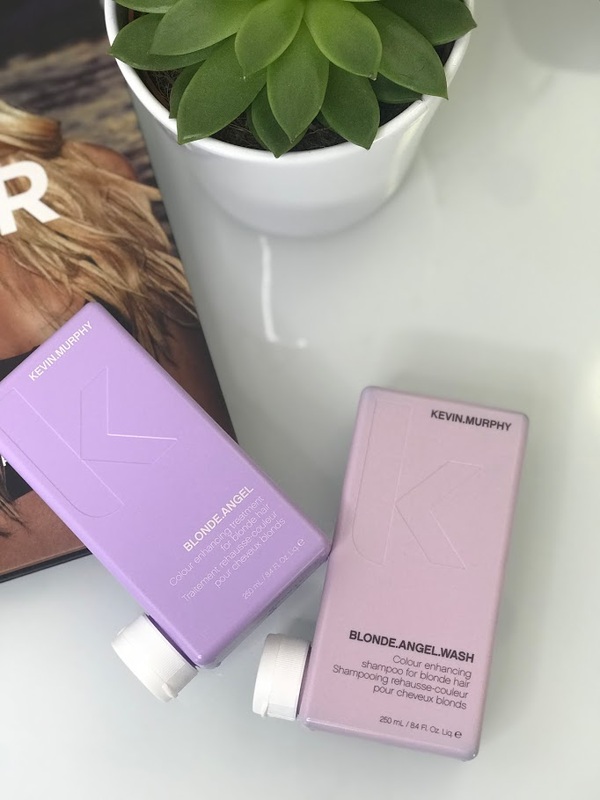 https://www.hunterandwalsh.com/blog/2018/7/8/purple-rain Kevin.Murphy Blonde.Angel Wash £21 and Rinse £22 will keep your blonde looking amazing. #7 Never brush your hair when its wet!! 😬 Think of hair like paper, when it’s dry you can pull on each side without causing any damage, but wet paper will easily pull apart! When your hair is wet, run some MoroccanOil through it with your fingers then leave it for at least half an hour before very carefully combing from the ends up to the roots. #8 Don’t skip the mask. Use a repairing Mask at least once a week!! Kevin.Murphy Re.Store Mask £27 once a week will ensure your hair has all the moisture it needs to keep it strong. #9 Prepare for your next visit with WellaPlex no.3 £32, this will strengthen and build your hair ready to go even blonder!! We love to colour hair in Hunter & Walsh but more than that we love beautifully healthy well-maintained hair. Natural grey hair that is cut well is so classy. The textures of all the different sahdes of grey within a hair cut can lend so much to the finished look. Grey hair doesn't have to be frumpy, in fact, I often find when you have the right cut it can actually be less ageing than that over-coloured blanket look of permanent colour . 'Grey' isn’t actually a hair pigment in itself – it’s a colour caused by a combination of normally pigmented hairs interspersed with white ones. Your hair colour turns from the appearance of ‘grey’ to completely white when all hair pigment cells stop being produced. If you pull out the first few hairs you see in your hair, you are interrupting the hairs natural cycle of growth, resting and shedding. You also risk causing damage to the follicle resulting in that hair growing through more crinkly. That hair then sticks straight up and what do you do? Thats right, you pull it again! There are so many other factors involved in going grey, that genetics alone will not determine at what age you are likely to start going grey. Hormonal factors, illness and stress have a huge part to play at what stage you will go grey. Diet is also a very big factor in the greying process, choose a diet that is rich in B6, B12 and folic acid. It has been shown that the use of B vitamins in large doses can actually reverse the greying process but as soon as you stop the vitamins your hair will turn white again! “We know that stress uses up vitamin B and some studies have shown that taking large doses of certain B vitamins (B6, B12, folic acid) have begun to reverse the process of greying in 3 months,” says trichologist Sara Allison. Grey hair is often finer and drier, so you might want to change your hair products. Dirt shows up faster on greying hair than any other hair colour. Shampoo and condition daily to get the best out of your hair. Grey hair is more vulnerable to sun damage because it lacks melanin – a pigment that protects your hair and skin from the sun, this is also the reason why fair-skinned people burn more easily. If you have grey hair, it’s very important to use a hair product will protect your hair from the elements, MorroccanOil Treatment Oil Light is the perfect product to meet all your needs. This lighter version of the classic Argan Oil is lighter in colour so as not to stain your hair. We recommend having a regular stand alone WellaPlex treatment to maintain the health of your natural grey hair. WellaPlex is a bond builder and works to repair the internal structure of the hair, these bonds are broken by colouring, heat styling and through environmental factors. 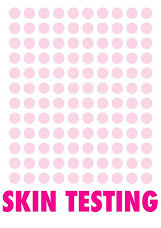 The Hunter & Walsh team take skin testing very seriously, your health is the most important thing to us when we are using colouring products on your hair. Hair dyes contain PPD (paraphenylenediamine or p-phenylenediamine) which are commonly associated with allergic reactions to hair colourants. PPD is used in permanent hair colours, it is needed for almost all shades, but especially the darker shades. PPD is used to achieve successful colouring of grey hair. Allergic reactions to PPD are rare and the vast majority of people colour their hair with no problems at all. It is possible to develop an allergy to PPD and similar products over time, without realising. So even if you have been using hair colourants without issues for a long time or are a regular guest in our salon it is possible that you may have developed an allergic reaction since your last visit. We are changing our policy on skin testing by bringing it into line with the National Hairdresser's Federation and Wella's guidelines. This may be a bit annoying for you as even if you are a regular guest to our salon we may want to perform an Allergy Alert Test on you at least 48 hours before your colour appointment. In order to determine if you are at risk and will need an Allergy Alert Test we will ask you these simple questions..
Are you taking any medications for allergies? Is this your first visit to Hunter & Walsh? Has it been more than 6 months since your last colour service in Hunter & Walsh? Have you had a tattoo since your last colour service in Hunter & Walsh? Have you had a temporary henna tattoo since your last colour appointment in Hunter & Walsh? If you answer YES to any of these questions you must have an Allergy Alert Test before we can colour your hair. This test MUST take place in the salon at least 48 hours before your appointment. You will need to pop into the salon at least 48 hours before your appointment, take advantage of this and have a coffee, you wont need to make an appointment and there is no charge. We will pop a tiny amount of colour into the crook of your arm. You will need to leave this uncovered for 45 minutes and then wash it off with luke warm water. If you notice any rash, redness, burning, swelling or itching before the 45 minutes is up , you should take it off immediately and contact your doctor. The same applies if you notice any of these reactions within 48 hours after the test. You will need to let us know as we will not be able to proceed with your colour service. Under the new Hunter & Walsh Allergy Testing Policy will offer Allergy Testing to every one of our salon guests, we will complete a new allergy Alert Test annually to make sure you have not developed an allergy to PPD over time. We will keep a record of your testing on our system for 2 years and will notify you when a new Allergy Alert Test is needed. From September 2018 we will be testing each and every guest, even if you are a regular colour guest. We know this may be a bit of a nuisance to you to have to come into the salon but a simple google image search will show you why we are so keen to keep you safe. Reactions are rare but when they occur they can be fatal. For years we avoided using the word 'bleach' in the salon and chose to use words such a 'pre-lightener' to make it seem less scary for the salon guest. There has been a change in the industry, helped along by social media, to tell it like it is. Salon guests are in the know about colouring techniques and products more than they have ever been before. In fact, quite often it is the salon guests who come to the salon asking for the latest techniques and products they have seen on Instagram. So, let me tell you about bleach and how we use it to get the lightest results but make sure your hair is protected at the same time. To ensure we get the best Bleach-Up results and to maintain the condition and integrity of your bleached highlights we use the 'Low And Slow' method to develop your bleach. Low.. This means that we use the lowest strength peroxide possible, we may even go as low as the peroxide strength we use to activate your semi-permanent colours! Slow.. We then develop your bleach slowly, it may take an hour (or more) to lift with such a low strength peroxide but believe me it is worth the wait! Bleach is activated by peroxide but the peroxide does not determine the level of lift you will get, all it does is determine the amount of time it takes to lift the colour to the desired depth. 12%, the highest strength peroxide, is a car traveling at 90 MPH around Penzance town, it will finish the circuit really fast but it will cause a lot of damage on the way round! Imagine this fast acting peroxide and what it will do to your hair, this is why we NEVER use bleach and 12%! 9% is a car traveling at 60 MPH, again, gets round pretty fast but has caused a fair bit of damage. 4%, we use this to develop your quasi-permanent colours, is a car traveling at 25 MPH, it takes longer to get round the town but hasn't caused any damage at all!! Bleach-up after a few weeks, we love the look of a grown out Bleach-up, it gives the hair great texture. 🎓So the lesson is, take your time, book out all of the afternoon for your appointment, enjoy our coffee and magazines, lie back and allow the massage chair to soothe you, allow us to look after you and if you need anything such as food or your car park extended we will happily pop out for you. Josh Head Joins our Team!! We are so excited to announce the return of Josh Head to Penzance and to welcome him to our team. The whole team is so excited to work alongside him. For those of you who don't know Josh, he is one of the former owner's of the very popular Penzance salon Oh My Gosh! before he moved away to work in Middlesbrough, where he established himself as a specialist in Flat Tip Extensions and Skin Fades! 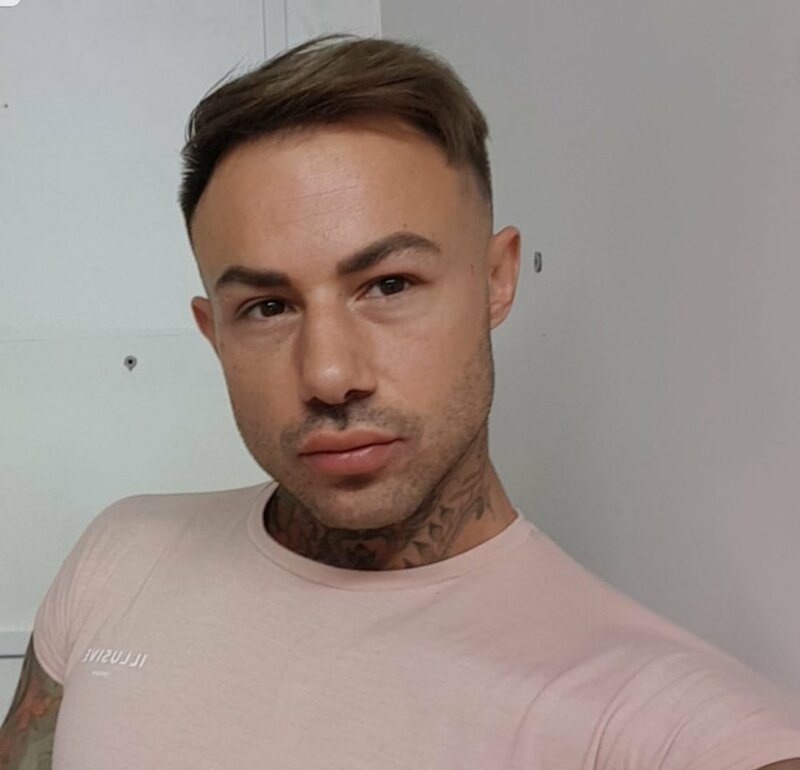 Josh has over 16 years experience in the hair industry, he is an excellent cutter and amazing with balayage and all new colour techniques. Beautiful bouncy curls, Balayaged to perfection! To book with Josh you can download our app from the app store or through the book button on the home page. If you have not been to our salon before please make sure you have your skin test done at least 48 hours before your colour appointment. You can pop in anytime, it takes less than a minute, all we need to do is pop a tiny bit of colour behind your ear to make sure you do not react to our colouring products. Beautiful chocolate brunette, check out that shine! Josh does a mean Skin Fade, The fade has grown in popularity over the last couple of years, Josh uses a cut throat razor to take the hair right down to the skin, he then clippers the sides to create a seamless fade between the areas. Josh is an excellent cutter, he will blend and cut the top section of your hair to perfection, so if you want a side parted slick look or a sweeping quiff, he will make sure you leave looking fresh! Josh will advise you on the right products to use to keep your style salon fresh, he will also build you a plan of how often you will need to return to keep your fade clean, usually around 3 weeks in between cuts, you will be able to block book all your appointments in advance to make sure you get in! Josh is also an amazing colour technician, he has perfected the art of hand painting and balayage. He has honed his skills while he worked away and created his own techniques to make sure, no matter how light you want to go, he will protect your hair and its condition throughout every process. Josh is a great long hairdresser, both styling and creating beautiful wedding and event up-do's, he has worked for Wed magazine creating beautiful editorial bridal looks. Josh can give you the long hair you've always dreamed of, if you have long hair, he can whip the tongs through to give you soft tumbling curls...lucky you, if not Josh has a solution! 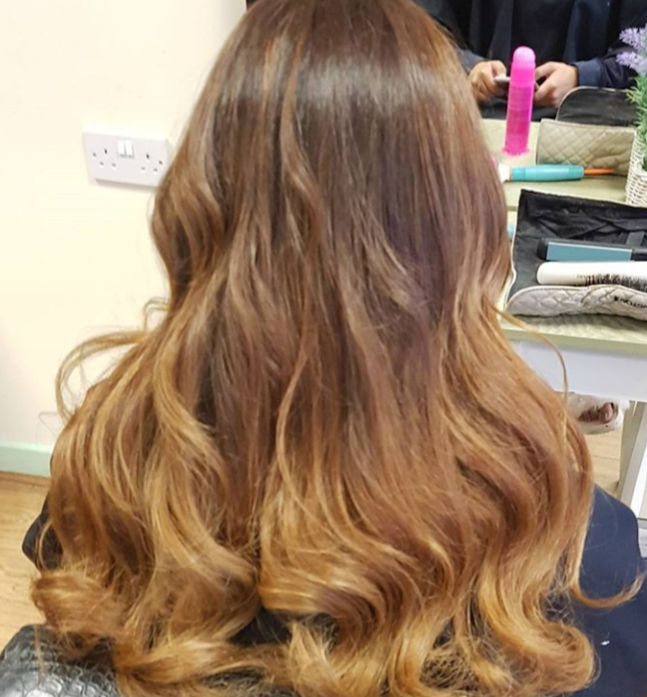 He can give you a full head of flat tip extensions to give you the length and volume you never had, for a full head the cost is approximately £400, when your extensions are done properly and with Josh's skill and care they can last up to 6 months. Don't be surprised if next time you see me, I have long hair to my bum!! I have told you all about what an amazing talented hairdresser Josh is but I would like to add Josh is a lovely man, he is so easy to chat to, he is kind and understanding if you are nervous, he is a true gentleman, you will be very well looked after and made to feel welcomed and at total ease. You will fall in love with him and see why he has such a loyal following. We are so excited to work with him. Take four lovely ladies, add a sprinkle of Fergal, our Wella Educator and watch the magic happen. Elaine, has naturally grey textured hair, she loves bright colours and has a big event coming up. She wants a bleach-up but is open to suggestions. She is open-minded about the end result. Mikaela, has grown out blonde highlights and wants to try blonde balayage. She loves the idea of a low maintenance colour that doesn't need to be done every 6 weeks. Jenne, has home-bleached rooty hair and wants super bright hair, she loves orange and yellow. Kirsty, is open to suggestions, she likes the natural depth of her hair, she definitely doesn't want to go darker but isn't sure how light she wants to go. She always goes for blonde highlights but they can often go warm, she wants cool ashy tones of blonde. Senior Stylist Louise works on Elaine and lightens her hair with a full scalp bleach and WellaPlex, she develops the bleach for an hour without heat. Our rule is to use the lowest strength peroxide and develop it slowly, this protects the scalp and maintains the integrity of the hair. Above all else, condition is the only factor to consider when deciding how light you can go. Fergal then suggested a light Mauve toner from using Wella Illumina. We love Illumina, click here to hear International Colour Artist Josh Wood talk about why Illumina is special. *price varies and depends on how long your hair is, we advise a consultation to get a quote. 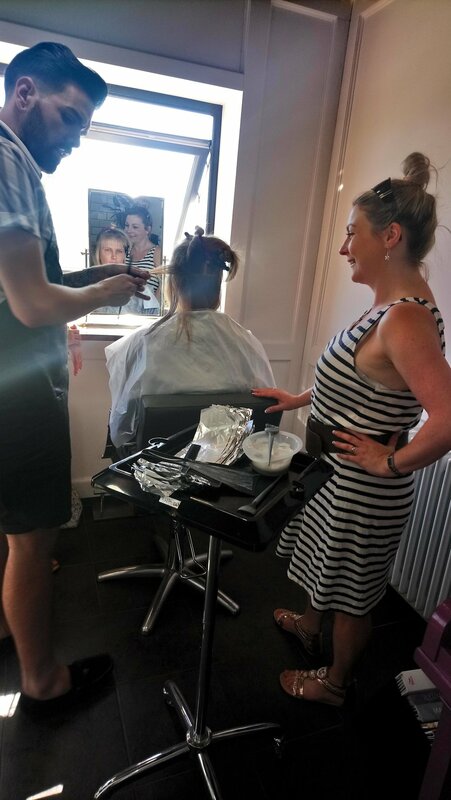 Salon Director Eloise worked on Mikaela's hair, Fergal showed Eloise a really quick and gorgeous technique for a really natural summery balayage, getting quicker with our balayage will be great for you as a guest of the salon as it will reduce the cost. This technique wouldn't be suitable for everyone but would work really well on hair that is already quite blonde on the ends or a natural blonde. *Price varies and depends on hair length and density. To get a quote book in for a free consultation. Book Online or Download our app from the app store. Jenne had the top section of her hair scalp bleached by our senior stylist Jade, this was lifted "low and slow" like with Elaine's bleach we use a very low strength peroxide and lots of time to give a super clean blonde with to minimise the damage to the scalp and hair. Then we custom mixed a beautiful soft coral colour for the back and a pure yellow for the front. *Colour Fresh Create prices vary and depend entirely on how much colour you want and how long your hair is, book your free consultation to get a quote. Our Senior stylist Freya worked on Kirsty, they decided with the guidance of Fergal to use Illumina colour to lift some lovely cool blonde baby lights all around the front hairline. Then they very slightly lifted Kirsty's natural root two shades to keep her lovely and dark with extreme shine but also to give her the lightness she wants. *Kirsty had a bespoke service, prices will vary depending on your desired look, book a free consultation to chat about your unique colour look. We had a fabulous day even in the 23 degree heat!! We learned loads and had fun. We are always looking for models for education days and for regular training in the salon. Call us on 01736360022 to register your interest in being a model for us. Poor Elijah had to spend the day in his nappy, it was so hot! If you have blonde hair, highlights or are brunette with lightened areas and you like the more ashy, cooler tones of blonde we highly recommend using a purple shampoo. Not all toning shampoos are the same, we call them all "purple" some are actually blue, some are violet and they vary greatly from brand to brand. To pick the right one for you firstly you will need to know what you are trying to neutralise..
Use the colour wheel to guide you. If you have orangey tones🍊 you will need need a blue shampoo as blue and orange are opposite each other on the colour wheel 🎡 if you have yellow tones🍋, you will need purple🍇. So, when you know what to pick don't be afraid to open up the bottle and look at the colour. 💜Purple shampoo is not designed to clean your hair so always use your usual shampoo to start. ☔Then concentrate the purple shampoo in the areas that need it the most. Leave the shampoo for a few minutes to work its magic. If its still too brassy then next time, leave it on for a little longer. 🍇Do NOT use purple shampoo everyday if you wash your hair every day. You will get a grey build up very quickly. Every other time you wash your hair should be enough or less. 💜Purple shampoo is very drying, make sure you condition and use a weekly treatment mask like MoroccanOil Hydrating Mask available to buy from the salon. This mask is the best, use it once a week to keep your hair in top condition. Just one shampoo with purple shampoo makes an noticeable difference. So, while I've been off on Maternity Leave, between bottle feeds and nappy changes I have built a brand new spanking website and let me tell you, it wasn't as hard as you would think. I used Squarespace, an online platform that allows you to build your own website using their pre-designed totally customisable templates. There wasnt too much tech jargon to get your head around and anything that you dont know, we have google and YouTube tutorials for. Its great! Watch this space for lots of news, events and information about Hunter&Walsh, I will do regular blogs to keep you informed of all that is happening, not only from inside our four walls but from all around our Hunter&Walsh community. Multi tasking at its finest!! In addition to our Website, we now have Online Bookings and our very own Hunter and Walsh app, both are fantastic for people like me who always run out of time in the day and forget to ring during opening hours. You can now go on anytime and get your appointment. If you need any help with what to book in for Facebook us as we are usually available to point you in the right direction. Don't forget to take full advantage of our free consultation service, the team will be only too happy to help you find your perfect style and colour, they may even suggest a whole new look. So, don't get stuck in a rut come and have a coffee and a chat.